Many students use laptops to take notes in classes, but does using them impact later test performance? In a high-profile investigation comparing note-taking writing on paper versus typing on a laptop keyboard, Mueller and Oppenheimer (Psychological Science, 25, 1159–1168, 2014) concluded that taking notes by longhand is superior. We conducted a direct replication of Mueller and Oppenheimer (2014) and extended their work by including groups who took notes using eWriters and who did not take notes. Some trends suggested longhand superiority; however, performance did not consistently differ between any groups (experiments 1 and 2), including a group who did not take notes (experiment 2). Group differences were further decreased after students studied their notes (experiment 2). A meta-analysis (combining direct replications) of test performance revealed small (nonsignificant) effects favoring longhand. Based on the present outcomes and other available evidence, concluding which method is superior for improving the functions of note-taking seems premature. Any opinions, findings, conclusions or recommendations expressed in this material are those of the author(s) and do not necessarily reflect the views of the NSF. The authors have no financial or non-financial interest in the materials discussed in this manuscript. Many thanks to Asad Khan, Annette Kratcoski, Duane Marhefka, Erica Montbach, and Todd Packer for support and encouragement with this project. This research was supported by a National Science Foundation (NSF) grant, STTR Phase II: Digital e-Writer for the Classroom, Grant Number 413328. Glass, A. L., & Kang, M. (2018). 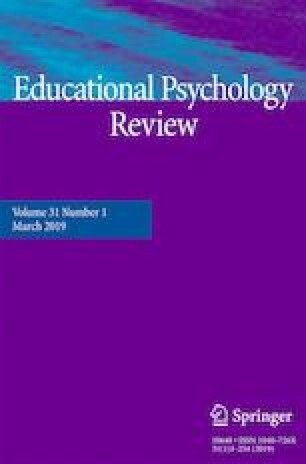 Dividing attention in the classroom reduces exam performance. Educational Psychology. 1–14. On-line first publication. https://doi.org/10.1080/01443410.2018.1489046. Morehead, K., Dunlosky, J., Rawson, K. A., Blasiman, R., & Hollis, R. B. (2019). Note-taking habits of 21st century college students: implications for student learning, memory, and achievement. Memory. https://doi.org/10.1080/09658211.2019.156969. Palmatier, R. A., & Bennett, J. M. (1974). Notetaking habits of college students. Journal of Reading, 18, 215–218. http://www.jstor.org/stable/40009958. Accessed 12 April 2016.